As ISC West opens today in Las Vegas, many companies will be introducing new products. But the announcements today from Arecont Vision will have a larger impact, and they involve much more than new products. In fact, the megapixel camera company is staking a claim to a broader slice of the market, and expanding its go-to-market strategy in the process. The cloud component of the new Arecont Vision platform is ConteraWS (web services), which enables local video recording and stores user profiles and cloud information for remote access and management. Management through the cloud means local administration is not required, thus reducing complexity and staffing needs. The system can be securely operated from a thick client, mobile app, Apple TV app, and/or a multi-browser web client. To ensure cybersecurity, ConteraWS has multi-factor authentication, NIST-compliant data encryption, transport layer security and requires no open inbound ports. Providing multiple system components enables customers going forward to buy end-to-end solutions from Arecont Vision. The online SysCon System Configurator simplifies selecting the best ConteraCMR platform for specific project requirements. The VMS, CMR and Web services components of the new end-to-end solution are rebranded by Arecont Vision in an OEM agreement with OpenEye. As historically a camera manufacturer, why has Arecont Vision decided to embrace the trend toward end-to-end solutions? “The industry has spoken,” says Calderon. “Customers want to have a seamless integration with one provider of goods and services. We are adopting the mentality the broader industry has had for some years now.”Customers want to have a seamless integration with one provider of goods and services. We are adopting the mentality the broader industry has had for some years now"
The “hybrid” platform involves video recording locally on premises (no bandwidth issues), but managed through the cloud by Amazon web services. There is an active connection between each recorder and the cloud. All administrative and access rights are managed in the cloud. A user can log into a web services account, which makes a connection to the recorder. This alleviates the requirement for any port forwarding or VPN. From an integration management standpoint, customers can manage all their clients and their recorders through a web services account. They can give permissions to local users to access only the recorders on their premises, but they can access centrally all the recorders they have deployed. 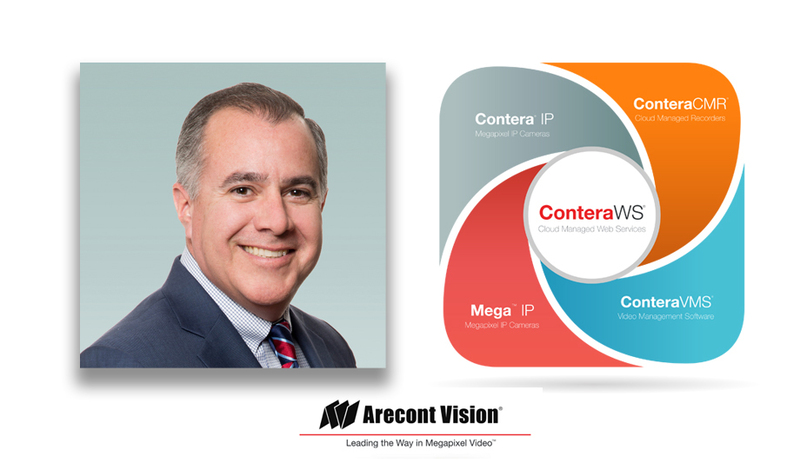 The Contera cameras, the existing Mega camera line, and the Contera VMS, CMRs, and Web services are integrated for sale as end-to-end solutions. In addition, each component could also be deployed alongside other third-party components using ONVIF standards and leveraging Arecont Vision’s MegaLab program that tests and certifies third-party systems in the company’s Technology Partner Program. He says some 300 units in the existing Mega camera line will continue to be assembled in Los Angeles.